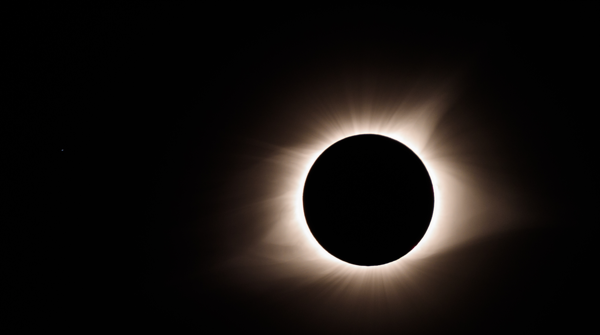 “Totality” by Geoff Livingston licensed CC BY-NC-ND. This post involves a bit of Frankenstein thinking, because two — seemingly unrelated — posts I came across recently made connections for me. Let’s see if I can explain why I think they’re connected. TL;DR: While I have gigantic respect for both authors of these posts, I think both ask us to view things too generally, without paying attention to details that matter. The first came to me by way of a challenge prompt in the #EngageMOOC running now, shepherded by Natalie Delia Deckard, Bonnie Stewart, Sundi Richard, Arianna Montero-Colbert, Annie Sadler, et al. The prompt is a quote from John Perry Barlow, who I’m sad to say recently passed away after a life of inspiring me and so many others to think differently. The quote comes from a remarkable meeting between JPB and bell hooks in 1995, which is a conversation I would have thought could come to us only in a wonderful dream if it had not actually happened. JPB was a more complex thinker than this one quote suggests — he wasn’t a simplistic cheerleader for “cyberspace” the way some have made him out to be. And yet, I find myself caught on how JPB characterizes cyberspace here in just one, positive way: as a breaker of barriers, bringing people together in an otherwise fragmented society through random encounters, that also, somehow, generate community. From where we sit in 2018, it may be easy to look on JPB’s quote as a naive view. But as soon as I read it, my mind popped to something else I’d read recently that gave me the same kind of pause, from another thinker that has influenced me (and others) a lot: David Wiley, writing on Reflections on 20 Years of Open Content: Lessons from Open Source. David ends his reflections by asking us if we’d like to live in a world where commercial organizations are heavily engaged in creating, distributing, and stewarding open educational resources, just like so many are now in open technologies. He also chides us in the open community a bit for not being more welcoming of commercial engagement in OER. I take the same kind of pause I did reading JPB’s quote. To me, both cyberspace and OER are tools that I think can be used to generate positive outcomes, but can also (very clearly I think) be used to generate outcomes I don’t support, like political polarization or business models that sell us back our experiences rather than proprietary content. While cyberspace and OER both have inherent structural characteristics, none of those characteristics guarantee any specific social outcome. To argue otherwise would require a kind of technological determinism, right? So in the same way I might look askance at the idea of cyberspace healing a fragmented society, I might also question whether an intensifying adoption of OER in commercial educational publishers is necessarily a good thing for education. The Internet might spread and OER may “win” (to paraphrase David), but neither necessarily guarantees the outcomes I want to see. When I come across these grand statements, I always want to stop and find the more complicated story that doesn’t ask us to believe or accept that cyberspace or OER are always good, just because they sometimes are. Thank you David! Your post deepens the conversation in all the right ways.